We have a manual model and an automatic model available; both models are affordable enough for use by either individuals or motorcycle shops. 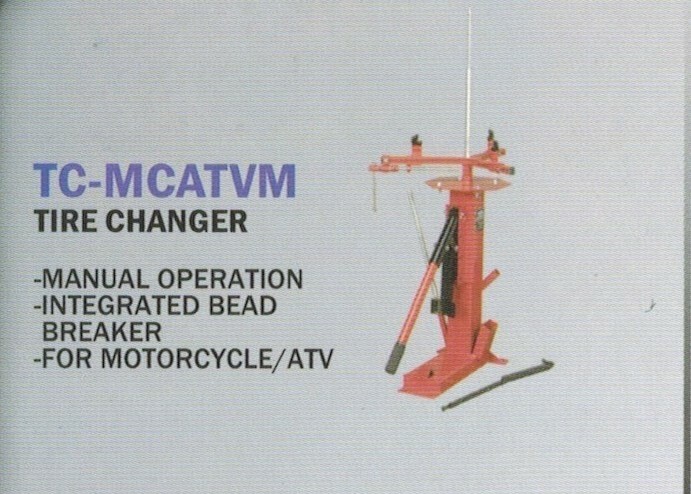 The model TC-MCATVM is a fully manual model complete with bead breaker and mount/demount bar (tire tool). The TC-400M-B is the automatic model with electric powered turntable and air powered wheel clamps. Manual bead breaker works by laying each side of tire under the bear breaker shoe (down on the floor) and pressing down, when each side is broken, you then put the tire up on top of the tire changer and clamp it in place. 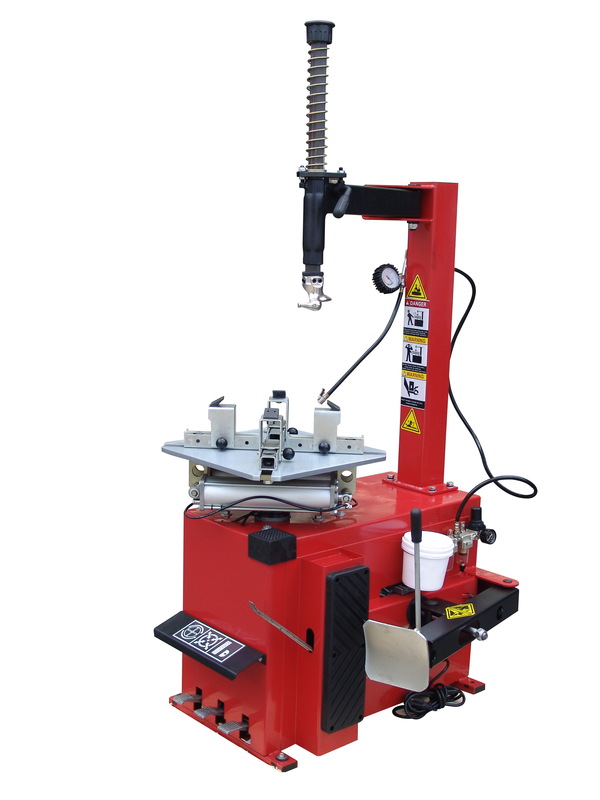 The Model TC-400M-B is an automatic air/Electric rim clamp style motorcycle tire changer. 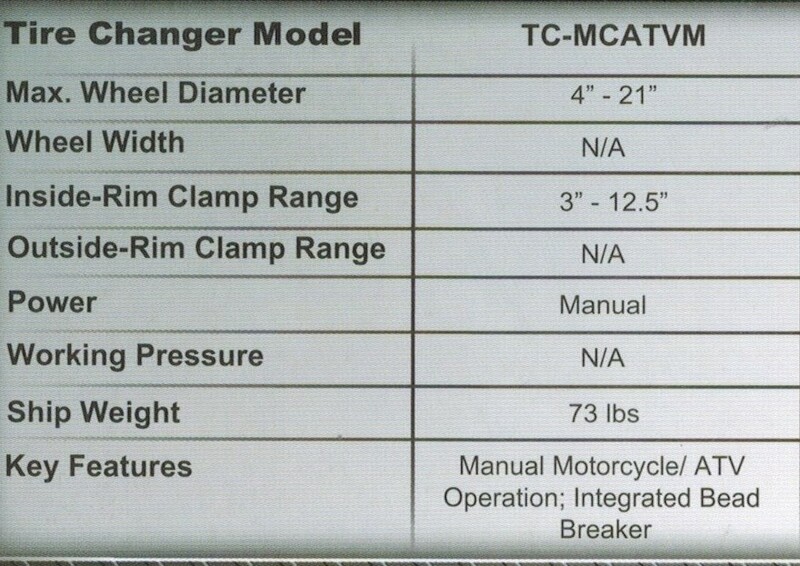 This unit is very reasonably priced and is designed for use by low volume motorcycle shops or individuals. The component and finish quality is very good for a unit at this price level. If you are a club or professional motorcycle racer with your own shop you can't afford to be without a nice tire change like the TC-400M-B.